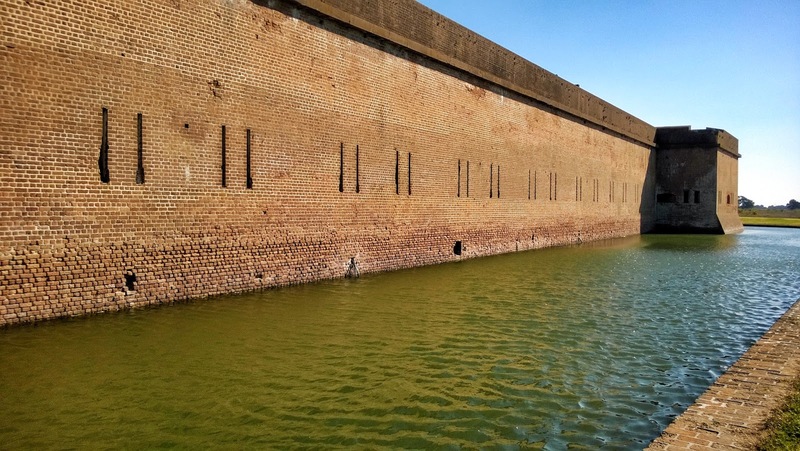 On the Atlantic coast just outside of Savannah you will find Fort Pulaski, once one of the strongest and most defensible military installations in the new United States. 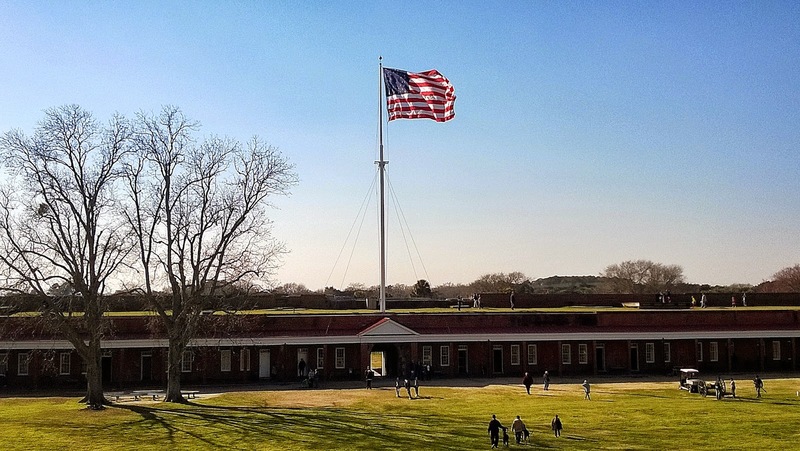 When the Civil War began in 1860 there were only a few soldiers guarding the fort and it was easily seized by the State of Georgia. The Union took back the Fort in 1862 by using rifled cannons which allowed larger shells to be fired from a greater distance. 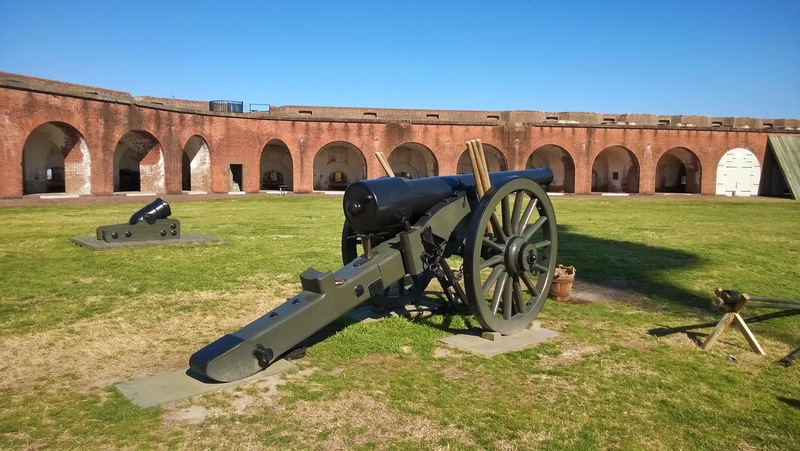 The Union could plant their cannons on Tybee Island and fire on the fort without any danger of receiving fire back. The siege lasted 12 days and by the end it had made brick fortifications obsolete. While we visited the fort the staff did a firing demonstrations of cannons that were rifled and not-rifled. You could tell by the sound just how much more powerful the rifled cannons were. 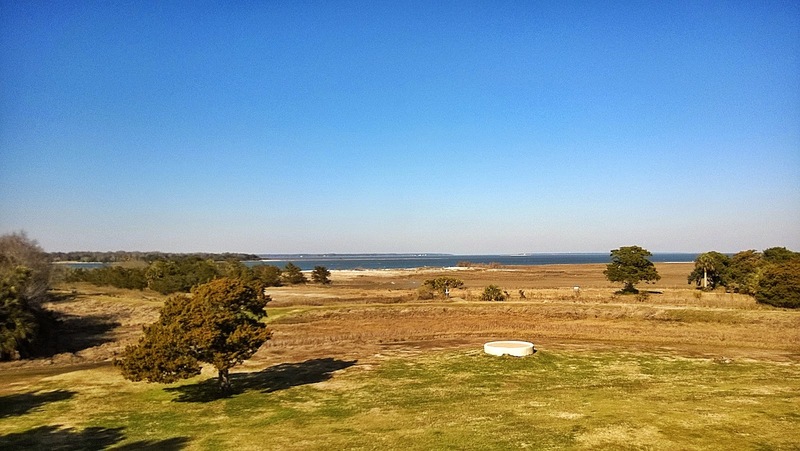 Here's the view of the Atlantic Ocean from the top of Fort Pulaski's ramparts. While we were there a huge tanker ship floated by from the Port of Savannah. 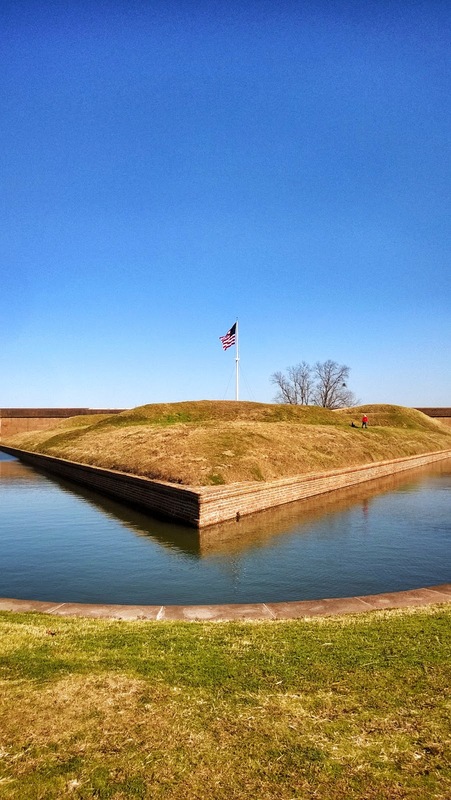 The fort of course is named after the Polish hero of the Revolutionary War, Casimir Pulaski, who was killed at the Battle of Savannah and I'll be sharing photos of the monument dedicated to him in Savannah in my next post.